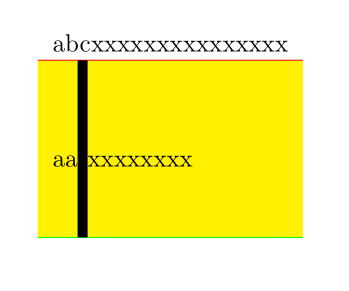 Due to faulty representation of table lines when using colored cells (discussed in many topics e.g. here and here), I need a rasterized version of my PDF, since I have no influence on the client's PDF viewer. I'm compiling using pdflatex. First tries using Gimp allowed me to save singular pages as a rasterized version - however, I'm looking for a (semi-)automated way to save large PDF files as a rasterized PDF. Best case szenario would be a modification of the pdflatex options. It is not very difficult to redraw lines. You only need enought suitable \tikzmark/\pgfmarks -- you can create them automatically with some counter. You can even use them in tikz commands before they are set to draw backgrounds. In a setup with automatic breaks you should put the \tikz-commands inside the cells to that they don't get separated from their mark by a page break. Not the answer you're looking for? Browse other questions tagged pdftex output or ask your own question. How to prevent \rowcolor from altering the thickness of cell borders?